The Department of Pediatric Cardiology, Congenital Heart Diseases at the University Hospital Heidelberg offers the full range of diagnostics and treatment of all forms of congenital and acquired heart defects in newborns, young children and adolescents. The Chief Physician of the department is Prof. Dr. med. Matthias Gorenflo. Special attention is paid to the treatment of congenital cardiovascular diseases with the help of catheterization procedures (interventional cardiology), pediatric intensive care, as well as outpatient care for patients with congenital heart defects as part of comprehensive consultations. In addition, the tasks of the department’s physicians include interdisciplinary care for adults with congenital heart defects. The department has an in-house state-of-the-art Cardiac Catheterization Laboratory, as well as the necessary medical equipment for the diagnostics of fetal cardiac abnormalities in the womb. Appointed as a W3 Professor of Pediatric Cardiology, Heidelberg University. 2002 Habilitation, University of Heidelberg. Subject: "The system of lung endothelin and its value in pulmonary hypertension in children." 1985 Doctoral dissertation, University of Freiburg (Breisgau). Subject: "The use of new suture materials in comparison with the two methods of suturing in the formation of anastomosis of the small intestine in a pig." 1979 - 1985 Study of Medicine at the University of Freiburg (Breisgau). 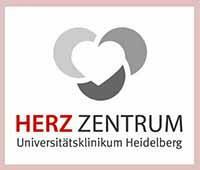 Since 09/2010, Head of the Department of Pediatric Cardiology, Congenital Heart Diseases at the University Hospital Heidelberg. 2008 - 2010 Consulting Physician, Department of Pediatric Cardiology, University Center Leuven, Belgium. 2003 - 2008 Leading Senior Physician, Department of Pediatric Cardiology, University Hospital Heidelberg. 2000 - 2003 Senior Physician, Pediatric Cardiology Department, University Hospital Heidelberg. 1995 - 2000 Medical Specialist, Department of Pediatric Cardiology, University hospital Heidelberg. 1995 Research Fellow, Department of Congenital Heart Diseases, German Heart Center, Berlin. 1994 - 1995 Research Fellow, Scholarship of the German Research Foundation (DFG), Institute of Children's Health, Hospital for Sick Children, London (UK), Department of Vascular Biology. 1988 - 1994 Research Assistant, Department of Pediatrics, Free University of Berlin. 1987 - 1988 Assistant Physician, Department of Internal Cardiology and Intensive Care, Karlsruhe Municipal Hospital. 1986 - 1987 Research fellow at the Medical Center for Pathology at the University of Marburg. Treatment of adults with congenital heart defects. 1995 Medical Specialist in Pediatrics and Adolescent Medicine. 2008 Adults with congenital heart disease (EMAH). German Society of Pediatric Cardiology (DGPK). German Society of Cardiology (DGK). German Society of Neonatology and Pediatric Intensive Medicine (GNPI). European Association of Pediatric Cardiology and Congenital Malformations (AEPC). Member of the Medical Faculty of the University of Heidelberg. Member of the Scientific Advisory Board of the German Heart Research Foundation. Member of the Scientific Committee of the German Society of Pediatric Cardiology. Member of the Working Group "Interventional Cardiology" of the the German Society of Pediatric Cardiology. Member of the Working Group 25 "Pulmonary hypertension" of the German Society of Cardiology. 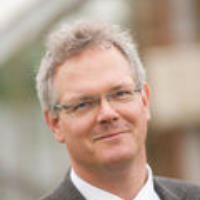 Chairman of the Working Group "Genetics, basic research and hereditary muscle diseases" AEPC (2011-2014). Department of Pediatric Cardiology and Congenital Heart Diseases.